When I stare out into space, I am staggered at the thought that all the suns and galaxies out there will one day fade into oblivion with no trace as new ones are born into existence. And they too will die out. When I look at old pictures of Manila taken during the ‘40s and compare the city then to what I see today, I can hardly find any landmarks that still exist except for very few. The landscape has changed substantially, and will continue to change. Nothing is static. The old always gives way to the new. I want to live longer. That is why I also go to the gym and continuously learn new things to keep my body and mind functioning well and together for as long as possible. I also realize that the whole effort of living is about trying to make do with as little entropy as possibly standing in the way. But I know that, for sure, the laws of entropy will win in the end. We will all age and die. Our cities will eventually disintegrate. Civilizations, empires and governments have come and gone and the cycle will be repeated continuously. That’s the way of the world. The struggle of the human race to survive and thrive is all about standing up to entropy. We are always trying to invent new ways to extend life and to make living easier and more pleasurable. We are also trying to preserve what we see as good for the well-being of the many. Ideally, we extol their values and virtues. These virtues are democracy, environmentalism, spirituality, equal rights, etc. Could love be the opposite of entropy? Could love be an evolutionary impulse that developed as a response to the natural and gradual destruction and disorder of the world? If entropy is the way of the world, why do people not naturally and willingly surrender to its force? Instead we do all we can to cushion us from the pain. Why do we fight it? Don’t we do all we can to shield ourselves and our loved ones from destruction and pain? In one of his books, the author M. Scott Peck posits that the reason why the earth has not been destroyed is because there is a being that is preventing entropy from doing us in. He suggests that there is a God that holds the world together. He suggests that every day that the earth is not destroyed is a miracle. Just think of how many nuclear warheads there are in the world; don’t you wonder why we have not had an accidental detonation yet? Every day is a miracle. Someone is holding the forces of entropy at bay and preventing large-scale destruction. Each time a parent prepares a lunchbox for her kid, she is doing the same thing — exercising the force of love to preserve and enhance the well-being of a loved one. Each time we do random or planned acts of kindness, and extend or enhance the life of another, it is good for the world. I often ask myself if the story of the world is really about the deterioration of things or the constant rising from the ashes of new forms. I would like to believe that the impulse to rise and to believe we can make something positive out of any situation is our saving grace as humans. Resistance is love. Tis the season of politics. Everyone is speaking his or her mind on issues, candidates and topics like governance, qualifications, citizenship, etc. It can get people pretty primed to shout loudly and forcefully about their bets. This is how it goes. Politicians announce or give strong hints that they will be candidates. What happens next is people take notice and begin to like or dislike them. People make their choices. What is actually happening to many voters at this stage is they get too excited and announce allegiance to their bets this early. The most rabid and fanatical fool themselves into believing that their chosen candidate is perfect, flawless and infallible. Here are some thoughts about politics, candidates, voters, surveys, campaigning, etc. I have put them down mostly in nugget form so they are easier to digest. Here goes. Have you heard of The Three Bears Theory in choosing a candidate? Do you recall the story of Goldilocks entering the house of the three bears and trying out the chairs, the porridge, and the bed? I like looking at the candidates’ characters, records and platforms and see which of them will seem to have the right answers most of the time. In general, I avoid extreme disadvantages, or vulnerabilities attached to candidates. Some may be too corrupt, or too impatient, or drastic, or too inexperienced. Politicians are like fish. No fish can live in pure water. But you can’t get the water too dirty either without paying a huge price. Is your candidate too compromised morally? I, for one, will not vote for any candidate who is tainted with corruption. Because even if he/she does bring progress, I will curse every infrastructure he/she builds knowing that some of the money was pocketed while building it. There is no perfect candidate. Every one of them is human with faults. Some do have more sins than others, though. Right at the outset, we must be able to tell which one we will not be wasting our time considering. I will grant that no one is perfect, and everyone is partially right. But I would choose the candidate that I think is, or will be, more right than others in most situations. All politics is contextual. All politics is local, as former US Speaker of the House Tip O’Neill once said. No politician exists in a vacuum. They are always immersed in local realities. They are always coming from a political or social situation or a narrative. The candidate we should choose is the one (in our opinion) who can best solve our problems and can move us forward considering the entire context. He will not be faultless. But he will be the most likely to deliver! There are always ready, willing excited candidates who will run at the drop of a hat. Then, there are the reluctant ones. In my experience, the reluctant ones are the truly deserving. More often than not, the reluctance comes from a conscience that does not want to deliver less than what is expected of them. They give a lot of thought to whether they are qualified or not and how much they can do once elected. They stay up late wondering if they will be effective, and whether they are being true to the call to serve. These are the ones I like to support. When we look at survey numbers, we should see them not as static figures. To know their implications, we should ask whether the numbers are on the way down or up. While Vice President Binay seems formidable with a 30-plus approval rating, it’s quite a step down from his previous 70-plus approval rating last year. Political capital such as popularity is not something you can put in the bank for use someday. It must be used when it is there, otherwise it may disappear. Perhaps integrity is the only political capital that does not lose value. Every presidential candidate must somehow be able to connect to the electorate in an intimate way. And how much more intimate can they be than as a member of the family? Looking at the candidates in the running now, I ask myself, what family connection narratives does each one present? Ferdinand and Imelda for a while projected themselves as our “Ama at Ina ng Bayan” (father and mother of the people) until we decided we’d rather be a nation of orphans. Tita Cory was our favorite auntie, the tita who cared for us and did her best when we lost our parents. She could be trusted with the family fortune. Erap tried to be the “Ama ng bayan,” but he was the wayward father who was a drunk and a womanizer. He eventually had to be sent away. Enter Gloria Macapagal Arroyo. She did not want to be a called an “ate,” but in our eyes she was. She was the brightest oldest sister who went to school, and would deliver us to a better place. But sadly, we discovered that our “ate” was involved in shady activities and so she lost her esteemed place in the family. P-Noy, the son of our beloved Tita Cory and the son of Ninoy, a hero, was easy to trust. The fruit, after all, does not fall far from the tree. I imagine Grace would be another ate figure, a pleasant adopted sister who grew up away from the family but has come back to stay and claim her place. She will also play the “father’s daughter” too, out to avenge his loss in an earlier election. Duterte would be the strict uncle whom we fear but who promises to protect us and keep us safe. Binay would be the compromised father figure, who we think is involved in illegal stuff, not too far from how Erap was. At best, we would be his “other” family since he already has his whole family in political positions. Mar Roxas would have the most unique position among the candidates. He will not be a blood relative but the best friend of a member of the family who has become part of us. Although coming from a more privileged background, he will be a dependable “kinakapatid” (god-brother) who will always be there when you need him. He is loyal to the family and is well-accepted and trusted. And he can be relied upon for financial assistance when needed. Which narrative will be the most attractive for voters? Which one will play out successfully? We will find out soon enough. Our City is dying. And many of us are dying in our cars. Something must be done. A lot of us have been waiting for Superman, Batman, Iron-Man and the other superheroes to rescue us and bring order back to our streets, communities and our lives, but no one has arrived. I fear they may never come, and we will be left entirely to our own devices. Daily we live with extremely challenging situations like traffic, lack of transportation, lawlessness, pollution, crime, etc. The problems plaguing Gotham City seem intractable. There is growing frustration. Many people are resigned to thinking that no lasting solutions will be found and our lives will just gradually deteriorate and we will be doomed to live the rest of our traumatized lives in this hellhole. Okay. Let me tell it to you straight. No superhero will show up to help us solve this mess we’re in. Let’s be truthful and admit these problems were caused by all of us, and we have the responsibility to fix it. I suggest we don our superhero hearts and mindsets and seek doable solutions that will make our lives better. Yes, we must act. But I warn you not to entertain illusions of power so great that all we need to do is snap our fingers and things will magically get done. Instead, let trust in our own power, however small, to affect things and encourage the collective power of communal action. Here are a few suggestions on how we can make our lives easier and restore some sanity back into our urban lives. They may not directly affect the problems I listed above but they will ease tensions, create a better atmosphere and, when followed by everyone, make our city friendlier, more beautiful, safer and more livable. Furthermore, they are all doable by each one of us individually. We do not need any push or assistance from anyone else to do them. I divided the task into two big headings. One is about being a good neighbor; the other is about having a developed sense of civic duty. 1) Manage your residential spaces so that you do not create inconveniences that can heighten tensions in your neighborhood. Instead, behave in such a way that will enhance contact, friendships and cooperation. One way is to clean the space in front of your residence. Pick up trash. Beautify your frontage, or your neighborhood with flowering plants. Make your surroundings appealing and pleasant to look at. 2) Control the noise you create. Do not use your karaoke system during the early or late hours. Better yet, DO NOT DO KARAOKE at home. Go to a karaoke bar. Be sparing when you use your car horn. Also, train your dogs not to bark, especially at night when they can deprive your neighbors of good sleep. Lastly, speak softly when walking and talking in the street. 3) If you live in a village, or a condo, organize carpooling to work, school and office. It saves money, eases traffic, and promotes neighborliness. 4) Try not to create unnecessary garbage. Do not accept plastic bags or containers from the grocery. Bring your own bag so you don’t add to the landfill. This coming Christmas, try not to use wrapping paper; use old newspapers to wrap presents instead. If you receive gifts wrapped in Christmas wrapping, save the paper for reuse next year. 5) Do not buy a car unless you have a real parking space or garage for it. Parking your cars in the street creates traffic and an eyesore. 6) Learn to walk or bike short distances. Avoid tricycle rides or any form of transport when you can. You save money, get to exercise and lessen the number of noisy and polluting vehicles in the street. 7) Keep the canals and gutters outside your gate clean so that rainwater flows into the drain and does not create conditions for flooding or dengue. 8) Greet your neighbors on their birthday, Christmas, New Year’s day, etc. when you see them. The following are other suggestions you may wish to add to your list of civic duties. 1) When something is not right in your street or barangay, write a letter to your local officials. They should know what is wrong so they can fix it. And while you are at it, it is always more effective if you have your neighbors sign it, too. 2) Get to know the tanods who walk your streets. Give them a sense of appreciation when they do their jobs well, and complain if their behavior is wanting. 3) Register and vote in every election. 4) Do not fall into a spiral of helplessness and pessimism about conditions in the country. Instead, ask what you can personally do to change things and actually do them. When you put your personal power into action, it will inspire you to do greater, bolder things. 5) Get yourself informed with real facts, not hearsay. Do not readily believe everything you read in papers and hear on the radio. A lot of that is spin. Ask questions. Develop critical thinking. 6) Volunteer for disaster relief and community preparedness. When you do, you will learn to look at your community in a different way. You will begin to see its strengths and vulnerabilities. Things get done when people go beyond complaining and blaming. Often, we must act like everything depends on us. If there are enough people who feel this way, our city, our country and the world will become a much better place. I celebrated my 64th birthday last Monday, August 31. Throughout the day, I was thinking of an essay I wrote on my birthday 11 years ago. I wish to share it with you, and with anyone else who likes to ponder life and meaning on their natal day. Allow me to refer to myself in the third person. Try to imagine the person writing this not as the Jim Paredes you know, but as the nameless one we sometimes refer to as Spirit. Jim Paredes turns a year older today according to some contraption called a calendar, which is man’s attempt to put reference points of order to something abstract like “time” — very much like setting up buoys in an endless sea. The body and physical entity, the persona that is Jim Paredes, is officially 53, or over a half-century in existence according to this ad hoc scheme called the calendar — time’s physical representation. But let’s take a closer, more curious look at the celebrant. Let us for a moment be rude and imagine that Jim Paredes is only a Muppet (sorry, Jim! ), albeit a very sophisticated though mortal one in human form known to his family, friends and society as “Jim Paredes.” Hmmm… Is that hard to imagine? And now, let us also try to imagine the one who operates the Muppet, the animator, the one who breathes life into it. A question arises: Does the animator have anything at all to do with Aug. 31, 1951? Or to put it another way, does Jim’s Spirit have a birthday, too? A bigger “hmmm”! How can Spirit, which was never born and will never end, celebrate a birthday, or any anniversary at all? How can the timeless be measured by anything time-bound like a calendar, or any other instrument or gadget that purportedly measures time? Spirit, which is forever spacious, arising and eternally conscious, is free of time even as it has attended many of these birthday celebrations before. And it will attend many more, until such time as the birthdays stop coming. And by the way, it does not fret or get frantic over this inevitability. In fact, Jim’s birth and eventual death and everything in between, is experienced fully by the Spirit — probably more than Jim can ever experience them. Because as far as Spirit is concerned, every moment is the only moment there is. No past. No future. All present — in the present! Every conscious moment is a series of now points. It is all there is and those who are present know and live in the timelessness. Spirit has no reason therefore to fret over death when it is just another moment. Everything unreal will come and go, like Muppet Jim, his friends, relatives, possessions, works, reputation, fortune, and only what is ultimately real will remain — Spirit! As paradoxical as it is, there is no time when Spirit is not timeless, and therefore, there is no time when essentially, there isn’t ONLY Spirit! Spirit greets Jim Paredes, Ramon Magsaysay, Jaime Cardinal Sin and all those whose natal day is calendared today, (and any other day) a happy birthday! Here’s looking at you, Birthday Boy! Pass around the spirits, please! This was written by Jim’s Guest Blogger: Spirit! This essay was inspired by Ken Wilber’s book One Taste! I have had the Samsung Note 5 all week since its launch. I was lent a demo unit to review. I have two other phones, a Note 4 and the Note Edge. I like all of them, and yes, I am very interested in getting the Note 5. I love my Note 4 and I delight in how powerful its specs are and how easy it is to use it. It is a sturdy and elegant phone. In fact, before I went to the launch, I asked myself what else can they do to the Note 5 to top its predecessor. It was the same question I asked when the Note 4 was launched early this year since I was already very happy with the Note 3 then. As it turns out, just like the Note 4 vis-a-vis the Note 3, Samsung was able to put in a an array of new goodies to get everyone excited on this latest Note. The Note 5 is as expected, the best in the series, and probably the best phone you can own right now. It runs on Android’s 5.2 Lolipop OS. Here are more reasons why you should get one. Its sleek metal body is great to hold, beautiful to look at in gold, white, gray and black, and is as sturdy as hell with its Corning Gorilla Glass 4 screen. It is slightly bigger than the Note 4 at 153.2 x 76.1 x 7.6 mm. You will hardly even notice it the extra length. And yes, it is thinner and the metal back is curved on both sides like the Samsung Edge. In terms of its physical attributes, it IS beautiful. The Note series introduced the pen on smart phones. 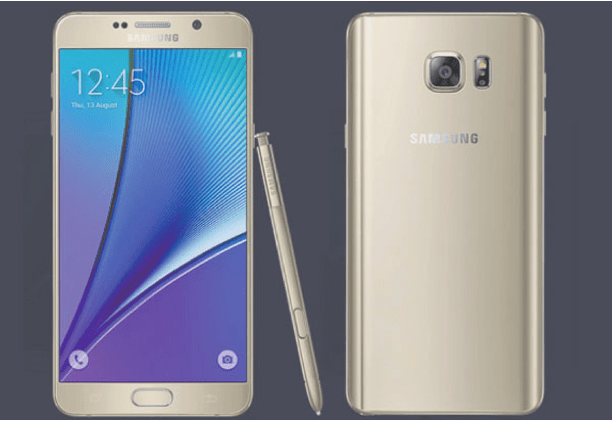 Samsung has continuously improved the stylus and so Note 5 the best stylus yet so far. Unlike the earlier Note series, you don’t pull the pen out anymore. It pops out from under when you press it, and that activates the S Pen. It is smooth and writes naturally. The pressure is just right. It makes you feel like you are using a very expensive pen on paper. The best feature is you can write with the pen on the phone even when the screen is off. You can also encircle long articles, photos, anything on your screen with ease and save it. The Note 5 has a 16 megapixel back camera where you can record in 4K/UHD and a 5 megapixel front camera with wide angle capability which is great for selfies. The camera menu comes with a range of delightful modes. You have an OIS stabilizer so you don’t blur your photos while shaking. This is a big deal to me. It also has autofocus, LED flash, Dual shot, simultaneous video and image recording, geo-tagging, face/smile detection, etc. But the biggest story is its live broadcast capability where you can share live events to any or all your friends through youtube. Your broadcast has a 30 second delay before people can watch it. It is Samsung’s answer to twitter’s Periscope live broadcast app. I have seen collage photos done on many phones. But I have never seen collage videos put together so easily on a Note 5. You can have 4 videos running at the same time on the same screen and upload them on instagram. It is truly impressive. The Note 5 has the most efficient, long lasting battery yet which can keep your phone going for 15 hours under heavy use. On regular use, it should last a day. Its battery is smaller than the Note 4 size-wise, but it will outperform every phone on the market today. Like the other previous Notes, you can multi task easily by splitting screens. You can be watching youtube while scrolling notes, and having your calculator on standby for use all at the same time. Seamlessly. But even a phone this great can have certain drawbacks. I am not too happy that it does not allow expandable memory. No more SD cards. The slot has been taken away. In place, you get free 100GB One Drive cloud storage free for two years. Note 5 upped the RAM from 3G to 4G and its storage comes in 32 and 64GB. And you can’t open the back anymore to replace batteries, which I disliked on the iphone. When I asked the Samsung people why they closed the casing permanently, they said that the electronics had become too sophisticated so they sealed it for better protection. Overall, it is a great techno experience. I feel magic happen when I use it. Every operation seems seamless, intuitively easy to do. There is so much more to explore and discover on the Note 5. Once you try it, it is hard to let it go.